In Santa Clara County, California, Chief Information Officer Ann Dunkin found the county battling a size and reach issue – authorization. Documents had to travel from office to office before reaching the final, necessary person to sign off on policies and start processing requests. Even after receiving a signature, documents often had to travel back to a central office to be processed and implemented. Employees spent much time just waiting. Complaints about bureaucracy are often the products of inefficient and roundabout workflows. Constituents don’t understand why it should take days or weeks to process a simple request when car insurance companies can promise a quote in 15 minutes. To unlock employee productivity and discover cost savings, Santa Clara County turned to e-signatures. 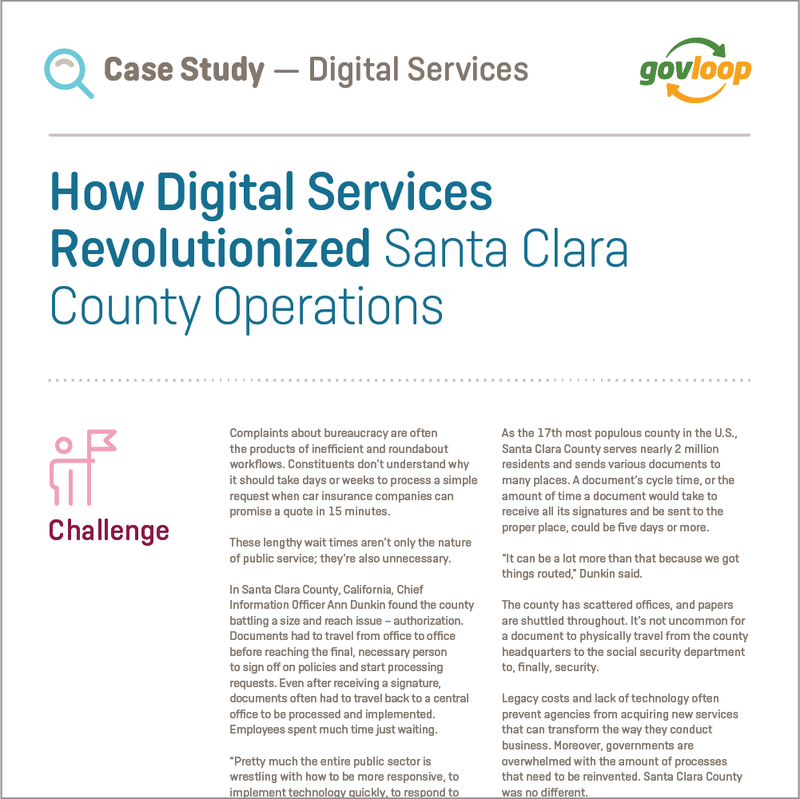 Dunkin’s staff conducted a study on the savings Santa Clara County accrued by establishing digital workflows, and the results were “mindboggling.” Read exactly how the county used digital signatures and services to boost productivity and improve customer experience in this GovLoop case study.